Simple and reliable way to add kalkwasser to your aquarium.Kalkwasser might be old-school but these uniquely "revolutionary" stirrers bring the legendary calcium and alkalinity solution into the new millennium. It would not be overstating things to say that kalkwasser has enormous benefits for captive reef aquariums. Kalkwasser powder is an excellent source of calcium, hydroxide ions to buffer alkalinity, an unmatched ability to encourage coralline algae growth, and it precipitates phosphates out of your system water! Why in the world then wouldn t we all be using it? Primarily it is the mess and hassle of preparing it in small batches, for use as top-off water, which eventually becomes disheartening. 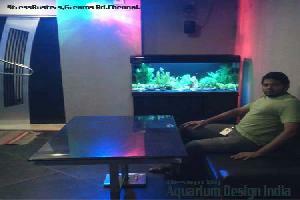 Keywords : Aquarium Accessories, Aquarium Kalkwasser Reacter.